Going in to planning today, there was a concern that we would run up against constraints on power and complexity that might force us to eliminate some of the science we wanted to do. Thankfully, that did not end up being the case and nothing had to be removed! I was especially happy about this because this morning I noticed that the single full-resolution Navcam frame of Mt. Sharp that we received (shown above) included a location that I wanted to image with ChemCam's RMI. So even though I was on ChemCam downlink, I also managed to work with the uplink team to get a RMI observation into the plan. The weekend plan begins on Sol 1947 with a Mastcam observation of the target "Montrose", the first of a pair of images intended to watch for any changes in the soil at this location. After that, ChemCam will do a calibration observation and two analyses of targets "Thurso" and "Loch Tay," followed by Mastcam documentation of those targets. In the afternoon of Sol 1947, MAHLI will take pictures of Thurso and Loch Tay. APXS will do a short measurement of Thurso, and then an overnight measurement of Loch Tay. On Sol 1948, ChemCam will do the long-distance imaging observation that I requested, followed by a measurement of "Loch Scridain". Mastcam will document the ChemCam target, and then has several mosaics of the target "Harris Bay". In the late afternoon on Sol 1948, ChemCam and Mastcam will do some "flat field" observations of the sky. Flat fields are used to check for, and potentially correct for, things like dust on the optics of a camera. On Sol 1949, Mastcam and Navcam have some atmospheric observations to measure the amount of dust in the atmosphere, and Mastcam will follow up with a second observation of "Montrose" to look for changes. 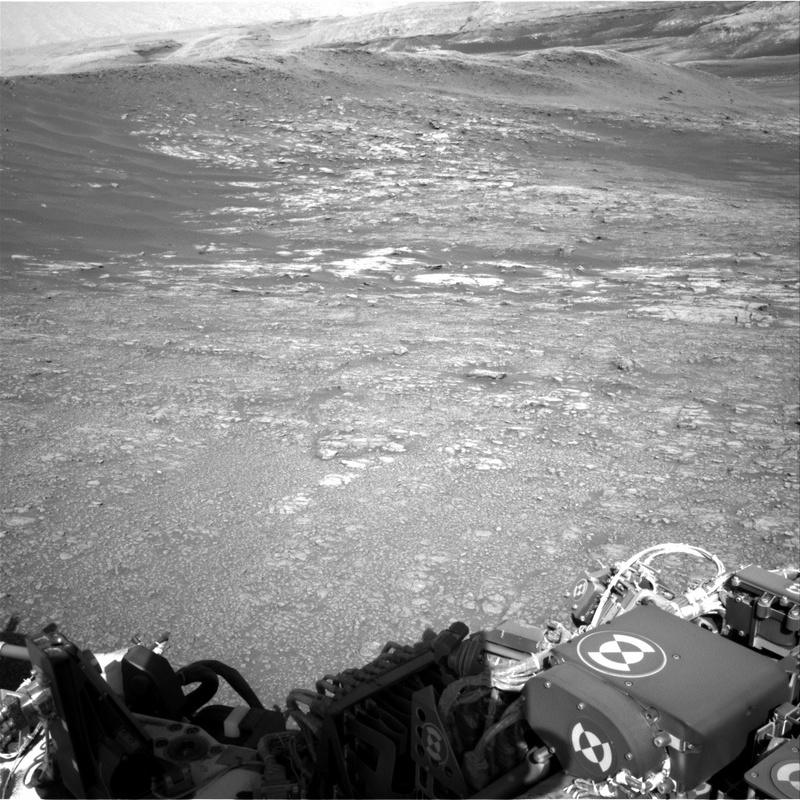 Then Curiosity will do a short drive, and collect post-drive imaging so we can plan next week. The MSL science team will be meeting in California next week, but while we talk about all the data we already have, we will do our best to keep Curiosity busy collecting more!